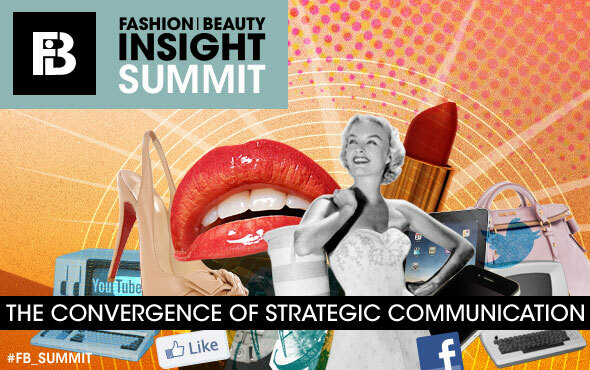 Fashion Insight|Beauty Insight announces the launch of a brand new series of events, with the first event set to focus on the convergence of strategic communication and how best to leverage social media, PR and key influencers to improve communications. The Fashion and Beauty Insight Summit is designed to provide you with all that you need to implement a new communications strategy from scratch or successfully tailor your existing strategy for increased return on investment. Maria Hatzistefanis, President / Founder of the Rodial Group (Rodial and NIP+FAB), a luxury skincare and cosmetics brand. Rodial is a natural and non-invasive alternative to cosmetic surgery with a reputation for unparalleled efficacy and stunning results. Justine Southall, Publishing Director of Marie Claire at IPC Media which produces over 60 iconic media brands. IPC’s diverse print and digital portfolio offers something for everyone, with a focus on three core audiences: men, mass market women and upmarket women. Their portfolio includes Marie Claire, InStyle, Look, Now, Chat, Woman and Nuts. Nigel Whiteoak, UK General Manager of ShoeDazzle, the world's first and leading subscription-based online fashion company. Co-founded by Chief Stylist Kim Kardashian, ShoeDazzle has offered women a personalised online styling service for a range of shoes, bags and jewellery since the spring of 2009. Christina Richardson, Head of Marketing at A Suit That Fits, the world’s first online hand-tailored suit-making company that offers the largest range of quality suits in the UK. Lopo Champalimaud, Chief Executive Officer of Wahanda, a London based health, beauty and wellness community and marketplace. Previously MD of European Lifestyle at lastminute.com, Lopo founded Wahanda in February 2008, with a vision for transforming the global health and wellness offering. Jo McCrostie, Head of Creative at Global Radio, the UK's premier radio company that boasts the number 1, 2 and 3 commercial radio brands in the UK, with Heart, the Capital network and Classic FM respectively. Carrie Longton, Co-founder of Mumsnet, a site designed as a way for parents to share knowledge and support. The site now receives more than 30 million page impressions every month from more than 1.5 million unique visitors with its influence felt by politicians and businesses through its high-profile campaigns and boycotts. The Fashion and Beauty Insight Summit is ideal for professionals in PR, marketing, branding, social media, mobile, digital, strategy, online and print publishing and communications. Tickets are available now from http://bit.ly/vBPYE6. Tickets provide full access to the one day summit, speed networking session and also include refreshments and lunch. This press release was distributed by ResponseSource Press Release Wire on behalf of Fashion and Beauty Insight in the following categories: Women's Interest & Beauty, Media & Marketing, Retail & Fashion, for more information visit https://pressreleasewire.responsesource.com/about.